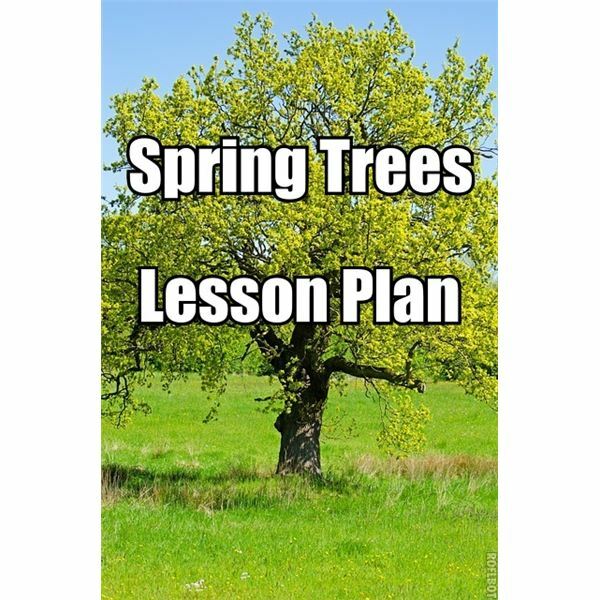 In this tree lesson plan, students will learn about the spring season and observe a deciduous tree in spring. This lesson is a part of a theme unit on Trees and Seasons. Read A Tree for All Seasons. In the spring, the tree begins to open its buds and yellow to green leaves grow again. Spring brings warmer weather and rain showers. The tree’s roots soak up the water from the soil and carry it to all parts of the tree. Sunshine helps with the photosynthesis process. Birds come to nest in the trees. Spring is seen as a time of new growth and renewal. Check the temperature and compare it to the other seasons. Students write the title, “Spring," on their journal page. Take journals, pencils and lightweight jackets with the students. Observe the adopted tree for the spring season. Ask the students to observe the leaves and buds. What colors do they see? Compare spring to past seasons. Once inside, the students draw the tree, themselves in the appropriate outdoor clothing and the weather. Students color and label the picture and write a sentence or paragraph as a summary. Students also record the temperature on their journal page. Provide paper thermometers to the students to color in the mercury level on the thermometer to the correct degree. As this is the last lesson in the unit, you can review the journal pages and the seasons of the year with the students. The students will be surprised to see the progress they have made throughout the school year in reading, writing and fine motor skills. You can also provide a formal assessment. Given pictures of outdoor clothing and season words, can the students match the clothing to the season during which it is worn? Given a picture of a tree in each season can the students label the pictures with the correct season name? Given temperature, can the students tell you what season it is likely to be based upon the given degree? Provide a long piece of mural paper. Write the four seasons across the top of the mural and separate each season with a line, creating a separate section for each season. At center time, students draw a picture to depict the season. For example, they may draw a squirrel in the summer tree or snow in the winter season. Have at least one book for each season available as a reference.